We just got back from one of the most relaxing, yet eventful, weekend getaways we’ve had in quite some time….a trip to Ocracoke. 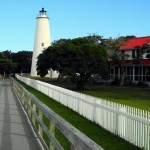 Ocracoke Island is the southernmost of a string of barrier islands that lie just off the coast of NC’s Outer Banks and has miles of unspoiled beaches that surround this coastal village. A true escape, Ocracoke Island can only be reached by private plane, private boat or one of three ferries and is an easy trip from our area. 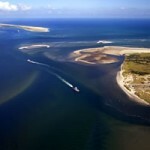 Navigating the island is a breeze, most opt for bikes or golf carts. 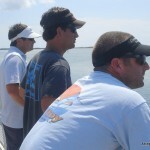 75 degrees, not a cloud in the sky and surrounded by best friends….could you ask for anything more? 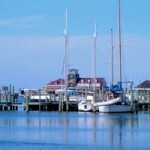 Ocracoke is just one of the many coastal towns that surround us, each unique with their own history and style. 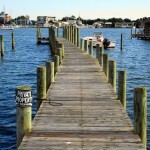 The island, just like many places on the Carolina Coast has grown over the decades, yet still holds tight to it’s maritime heritage and step-back-in-time charm. A ‘must see’ for those who haven’t experienced this island yet…add it to the list.